WXYZ) – A Delta flight from Detroit to Amsterdam early Sunday morning was diverted to Manchester, England after smoke starting billowing in the cabin. 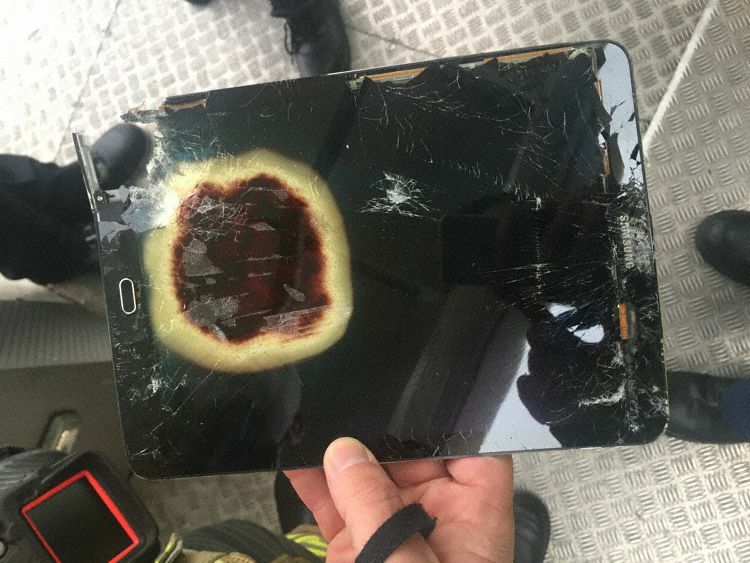 We’re told a Samsung tablet got stuck underneath a seat cover and started smoking. A Delta official and a senior U.S. official told ABC News that the emergency on Flight 138 was caused by a Samsung tablet. The Delta official explained that the tablet fell inside a seat and became jammed after the seat either reclined or was returned to its upright position. Underneath the seat cover, the tablet and foam then started smoking, and passengers could smell a strange odor.